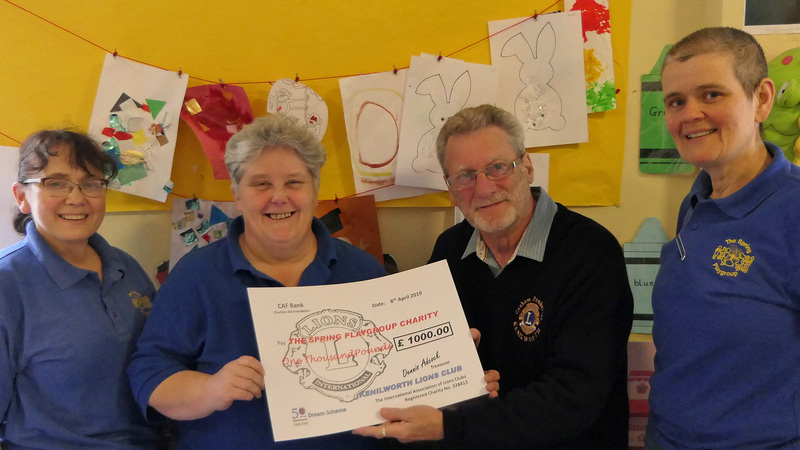 The latest £1,000 award from the Kenilworth Lions’ Dream Scheme has been made to the Spring Playgroup and Pre-school in Upper Rosemary Hill, to support their work with vulnerable children. The money will be used to fund extra playgroup sessions for children who would benefit from extra support due to their own or their family’s specific needs. The Kenilworth Lions’ Dream Scheme is a special award scheme being run in 2019 to celebrate the 50th anniversary of the foundation of the local Lions’ club.